Everyone recalls the first day at their job. The initial awkwardness is palpable. Eventually, everything becomes second nature, but initially, it seems a little overwhelming, and training is more of a formality. Whether you were lucky enough to receive an official (riveting, we're sure) training session from an HR representative, or they just sat you down with an out-of-date binder to go through - procedures, protocols or even small details that are imperative for you to be successful at your company were left out. And there are other aspects you probably forgot within 5 minutes because there was too much content to consume, and it didn't sink in. What is a more interactive way to provide training materials to new and existing hires? Video, of course. 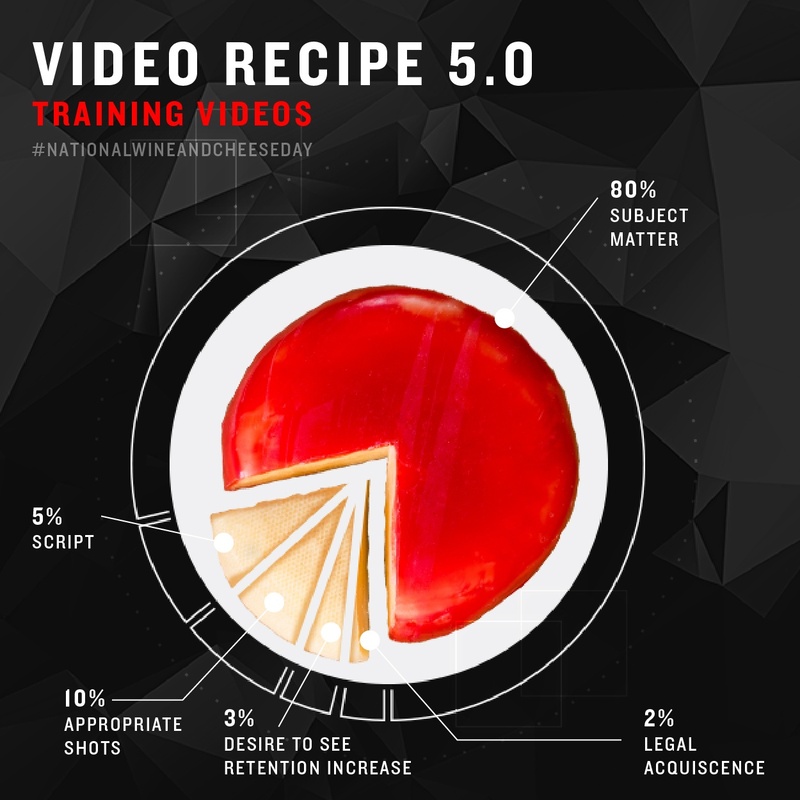 But, what is the recipe for a successful training video? This year, we're taking the opportunity with some of these silly National Days to share some of our favorite recipes for successful videos! And this month, we're celebrating National Wine and Cheese Day. Here is our recipe for great training videos for your business. Check out the full-size graphic, here.